Will a FastCover building work for a Beef Cattle Barn? 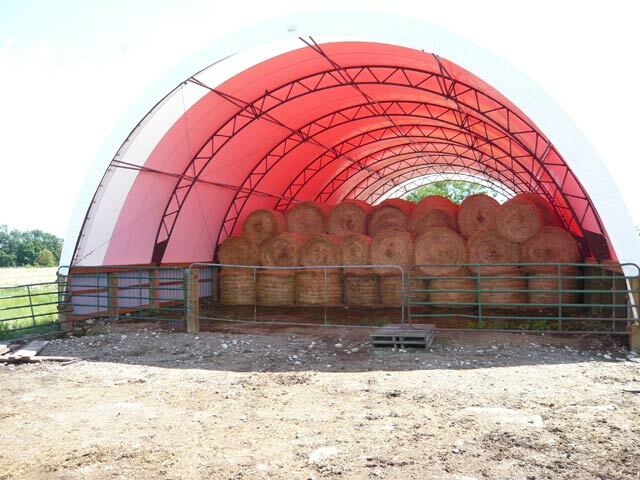 FastCover fabric buildings are an excellent choice for a beef cattle barn and for many applications on your farm. 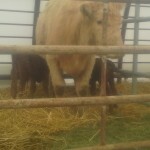 The buildings offer tremendous natural light and improved ventilation which can lead to a more content, healthier herd. 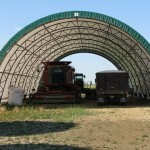 The buildings are also a wise choice for hay/feed storage and farm equipment storage. 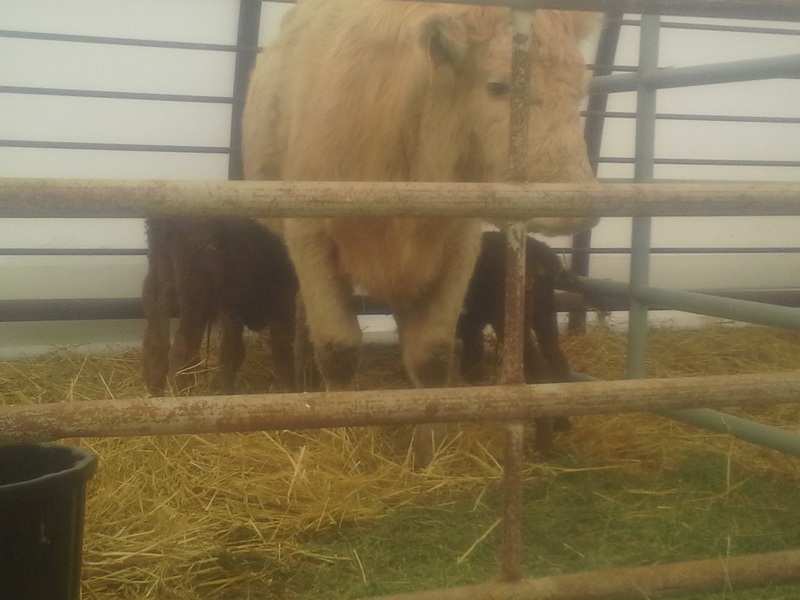 A more comfortable environment for your cattle. FastCover’s polyethylene fabric covers allow a tremendous amount of daylight to pass through the covers. Making for a bright interior with light well dispersed throughout the building. Artificial lighting is not required during daylight hours, even on cloudy days. At night time, the bright wide underside of the covers helps to distribute artificial lighting more evenly and can reduce the amount of lights needed and on-going electrical costs. 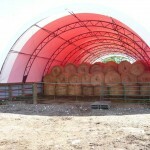 FastCover Beef Cattle Barn buildings feature a large air volume and high ceiling heights. With the installation of proper vents, warm moist air is drawn up and exhausted out the vents, replaced with fresh air. 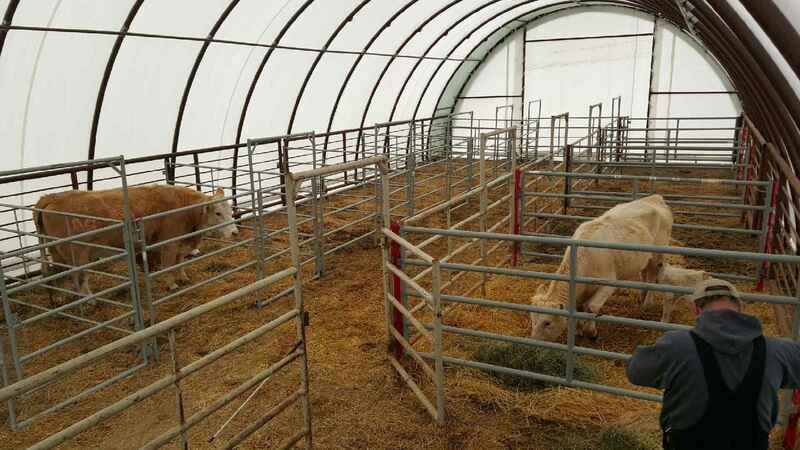 There are no internal columns or low level bracing or supports to get in the way of movement or placement of pens, equipment, fencing, or feed bunks. 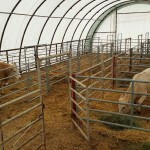 You can configure your beef barn however necessary to manage your cattle. 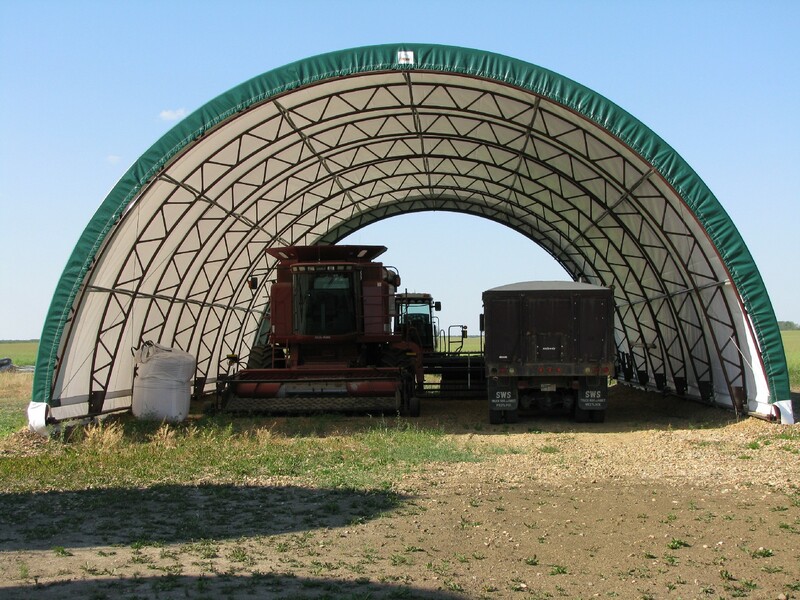 A clear span building can be built to any length so it is also possible to design a dual purpose with cattle housing at one end of the building and storage for hay/feed or equipment maintenance at the other end. The fabric covers do not radiate heat and cold the same way as other building materials such as metal. The non-conductive properties of the covers help to keep the building feeling cooler in the summer and warmer in the winter.